GBMC speaking at the MEDEF Executive Club Conference! Join us! organised in Paris by the MEDEF Ile-de-France (French Federation of Companies) on wednesday May 11, 2016. Fonction :……………………………………………………… Tél. : ……………………E-mail : ……………………………….….. 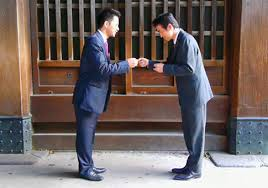 This entry was posted on Monday, April 18th, 2016 at 09:00	and tagged with affaires au Japon, doing business in Japan, doing business with Japan, Doing Business with the Japanese, faire des affaires au Japon, faire des affaires avec le Japon, faire des affaires avec les Japonais, formations business Japon, GBMC, Huysveld, Japan, Japon, MEDEF, MEDEF Executive Club Conference, MEVO and posted in Business, Cross-cultural, Invest, Japan. You can follow any responses to this entry through the RSS 2.0 feed. « Japan’s Electricity Market deregulated: the end of an era?